Msunduzi rates department says it is not to blame for the delay of outstanding rate clearance certificates. While the delays and non-issuing of rate clearance certificates has left many attorneys and conveyancers in the city frustrated, the department is blaming the bottleneck on other departments within Msunduzi Municipality. Those caught up in the fiasco say the impact has been catastrophic with sales being cancelled, businesses unable to move into properties, and law firms and property agents left pulling their hair out in frustration. 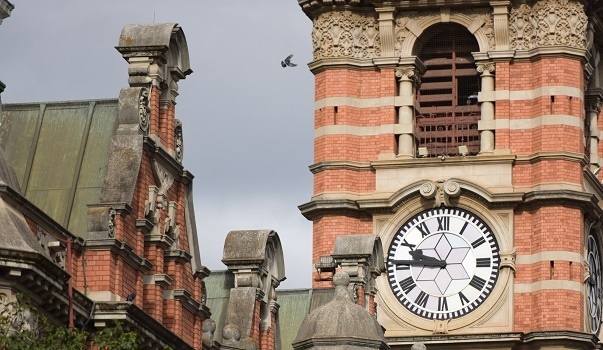 Speaking at a meeting with the conveyancers and the Pietermaritzburg Chamber of Business yesterday, Moges Pillay, Msunduzi rates department acting manager, said all the applications they received have been processed. “I’ve only got 33 applications as of March 14,” he said. The applications have to be signed by five different sections prior to the assessment being issued and that is where the challenge lies, Pillay said. Pillay said the hold-up in the other departments was primarily due to the recent municipal strike. “The strike has set us back almost three weeks with our work,” he said. Pillay indicated that another cause of the backlog was due to the rates assessments and clearances being issued manually and human resources challenges that included staff shortages. “The process is manual from the start to finish. It all depends on someone physically being there to check an application and it goes through to five departments before it comes back. If there are staff shortages or queries in those sections, it will delay the application,” he said. Other delays were reportedly due to the migration of property valuations into the City’s new general valuation roll. He said if the application comes through without any queries, it is normally processed within 14 working days. A conveyancer at the meeting blamed the delays on political infighting and incompetent staff. Bruce Campbell of Natal Property Consultants said although they have noted a slight improvement recently, there were still lot of underlying issues. He said various companies that had processed payments for rates assessment at the beginning of February were still waiting to be issued rates clearance certificates. Campbell said the delays had impacted the property sector significantly. “Nobody is getting paid; the sellers of houses have been left in limbo. You have property owners who have sold properties and moved, and they haven’t got a rates assessment from the city to get their money to pay for property elsewhere. “In other cities like Durban and Cape Town, the maximum amount of time it takes for the transfer is two weeks,” said Campbell. Pillay also said yesterday that Msunduzi Municipality was looking at the possibility of migrating to a digital application system. He did not say when the electronic system would be introduced.